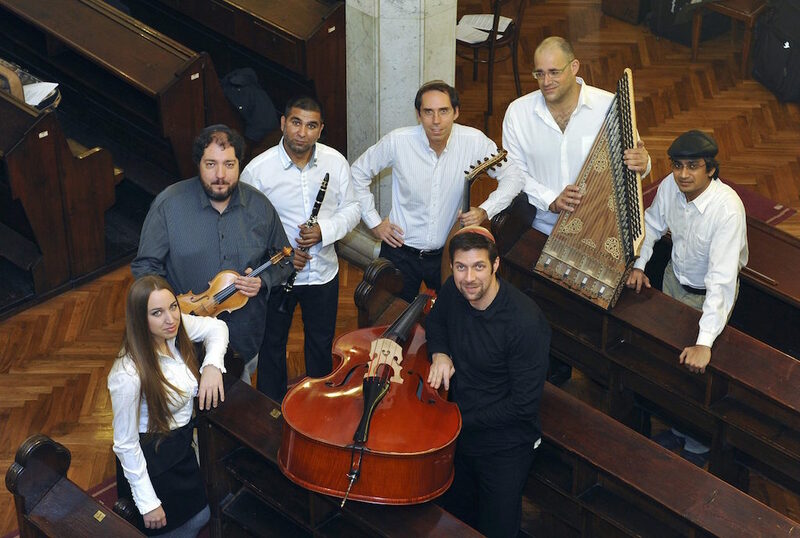 Shira U'tfila has been called 'one of the most interesting bands on the Sephardic live music scene'. We spoke to Stefan Sablic, its founder, but also musician, arranger and composer - all in all the driving force behind the band. What is the story of Shira U’tfila’s creation? Stefan: Shira U’tfila was founded spontaneously in 2000 In Belgrade [Serbia], upon my return from Israel where I lived and studied for a few years. During my time in Israel I was immersed in the world of different Sephardic and oriental musical traditions. 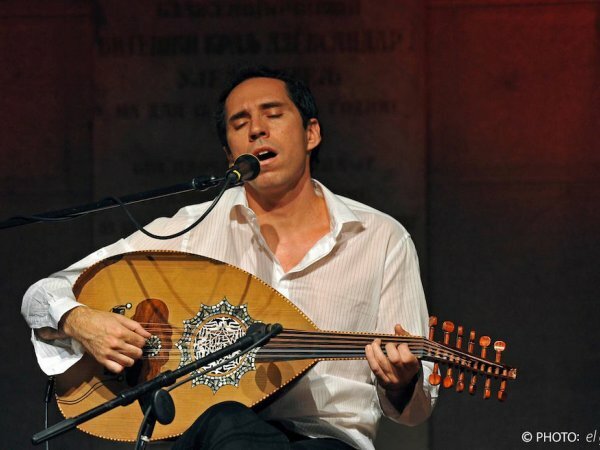 As I began to serve as hazan in Belgrade Synagogue I had to create an additional framework through which I could express my passion for this kind of music so I invited a couple of friends to play oud and darabukas and sing these wonderful songs. Members of Shira U'tfila. Photo curtesy of Shira U'tfila. What is it that drew you to Sephardic music? Stefan: It all started when I heard Rabbi Yosef Ben Zacharia Levi and Rabbi Danon Levi (Zichronam Livracha) chanting the local traditional Shabbat prayers. I began learning these melodies, primarily from the tapes recorded by their successor Rabbi Isak Asiel (present Chief Rabbi of Serbia). This is a very unique liturgical tradition as it is a mixture of Sephardic and Ashkenazi melodies with Sephardic nusach. The border between Ottoman Empire and Austro-Hungarian empire was in Belgrade and there were influences coming from both sides. Back than I didn’t even know Hebrew very well, so I learned things by heart, which wasn’t difficult for me... and it all seemed so natural, like the Torah reading [I do today], words and music seem like something that I always knew; they remain in the memory easily and once they are there, they don't fade away any more. Where do you draw inspiration for continued work? Stefan: [I find inspiration] in other similar traditional music like Arabic, Greek, Spanish, Turkish, Macedonian, Bosnian, North African, etc. One of the characteristics of Sephardic music was that it was, and still is, incorporating other musical traditions, borrowing freely from different sources and adapting, as well as moving melodies freely between holy and secular repertoires. This is a very creative and inspiring approach and I try to continue down this path, adapting melodies to words for which melodies were lost, or composing new pieces. My latest project is recreating the music for the biblical poem “Las Coplas de Yosef Ha-Tsadik” written in Ladino by Abraham Toledo in the first half of the 17th century. This is probably the first Jewish musical ever written. It is rooted in the Biblical story of Joseph but set in the multicultural milieu of Sephardic world during the Ottoman Empire. This is a magnificent piece of poetry and a deeply moving story for which music was unfortunately lost, so I composed the music according to inscriptions found attached to some parts of the poem. Those inscriptions describe the maqam (musical mode i.e. scale) and the musical form in which a certain part of the poem has been performed. As a theater director (my official profession) I adapted and directed a musical drama performance that includes my band, choir and actors. How has the ensemble grown and changed over the past years? Stefan: We actually started with a repertoire of Arabic speaking Jews and spiritual music. After publishing our first album “Nagila Aleluya” in 2001, we realized that we should shift our focus to local Balkan songs which are in Ladino (Ladino is the most commonly used term for the Judeo – Espagnol language in the Balkans). In 2004 some of the band members changed. I started collaborating with an amazing percussionist from India living in Belgrade, and a kanun player from Israel. Other instrumentalists include a double bass, violin, clarinet, oud player and vocals. Recently we included a female vocal, as well. It is a traditional setup of instruments, common in this region until mid 20th century. On the other hand, each of the musicians comes from a different background so many influences are intermingled. Kathleen Ruth Wiens wrote about Shira U’tfila redefining ideas of Jewishness locally, and articulating ‘an understanding of music in Jewish life as behavior that embraces both sacred and secular, both Jewish and non-Jewish, repertoire’. How was your work accepted in the early days, and how has the public reaction changed until today? Stefan: In the early days our music was met with great excitement as something very exotic and unique. It sounded like some desert music, and we were taken by this mystical feeling, performing without much examination about what we are doing or things such as arrangements and formats. According to the audience reactions nowadays, my impression is that after more than a decade of intense playing together, traveling and being good friends, the sound produced by the band and the level of understanding is very good. What are your reflections on the space Sephardic music, or the work of Shira U’tfila specifically, occupies today? Stefan: Kathleen is a great friend and she followed us on our travelings throughout the Balkans. She wrote this amazing book defining many interesting things about our music and some of those things I didn’t know before. Sephardic music today is much more popular than it was when we started off. There is a growing number of bands that kind of play Sephardic music…In this wast sea of great and terrible music out there, our mission is to keep our authenticity, originality and to research, practice and perform as much as possible. [Our aim is] To keep looking for that essence, that mystical spirit of this passionate, emotional music, so we can be able to transfer at least part of this beauty to the audience. If you would like to hear more from Shira U'tfila, check out their tracks at Ethnocloud or website.